I have been following Tristan Broughton on Youtube for quite some time now. I was impressed with his free ecom teaching on his channel so really wanted to see what his course "Product Winner Blueprint" was all about. I purchased his course and I'm going to do a full, comprehensive review on it so you can see for yourself if it is for you or not. Update: Tristan has released a new course teaching Google Ads. You can read my review here. You get a discount if you bundle these two courses together. 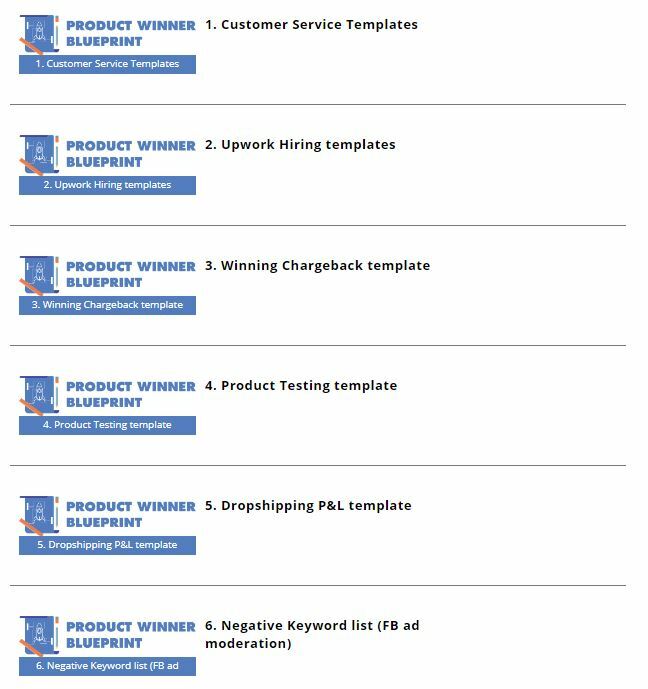 Let's Dive into the Product Winner Blueprint Review! 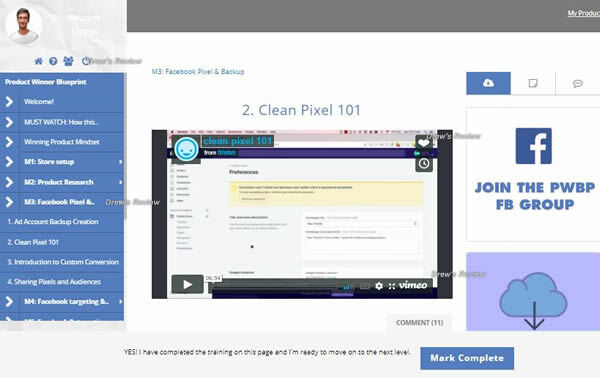 Tristan says he does updates to his course (which is great) and as of this writing, he has a total of 10 modules - the latest being the Product Winner Blueprint Templates Toolbox. Please note that in order to get the templates toolbox you need to complete the 'bump offer' at checkout. The course is video based. Videos load quickly and are high quality so easy to follow along. The cost of the course (at time of this writing is $297. 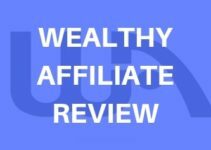 He does have it bundled with his "Google Ads Academy" for a total of $497 which he markets as the ultimate ecom bundle. I did a separate review on Google Ads Ecom Academy which you can read here. When you first login to the course, you're greeted with the typical "Welcome Video." In this video Tristan explains that this is the first course he ever created and doesn't make his money from selling courses - he makes his money from actually doing ecom. I bought an expensive course back in the day where it's very clear to me this 'guru' is now focused on selling ecom & software so I do like that Tristan does walk the walk with ecom. The focus of Product Winner Blueprint is simply to find winning products that you can go out there and scale and turn into a full time business. He claims that no other "guru's" teaches what he teaches. Another video before the real stuff starts is about "Winning Product Mindset"
Explains exactly what it means to have a winning product and how to identify one as such. 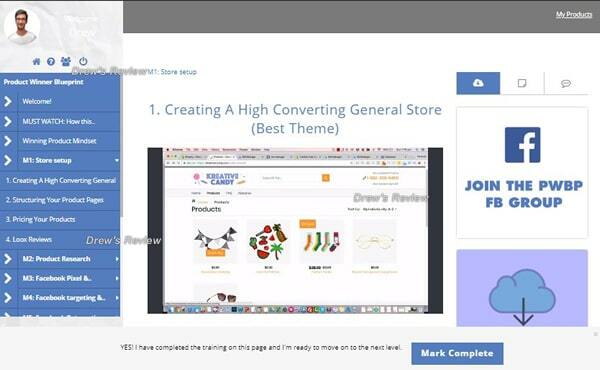 Here you will find videos in creating a high converting general store – stay away from a niche store at first and he explains why. Explains how to branch off to a niche store. Recommends some high converting free and paid themes. For paid themes focused on conversions, i'd instead suggest eCom Turbo rather than what was mentioned. Structuring your Product pages – explains what you need on your product pages for the best results. Pricing your products – explains how he prices his products and structures product pages. Pricing affects your pixel and how to ensure your pixel allows facebook to find the right buyers. (free + shipping model that he does not use) Tristan does not run free + shipping offers and explains why. I found his reasons to be quite eye opening which I never thought of before. Explains the impact of having reviews on your product pages and why you should be doing this too. Suggests "Loox Reviews" which is a paid addon (9.95/month). 1. Products Not to Test – He tells you what types of products you should stay away from. I like this because a lot of noobs will experiement with these products so he saves you time and money by avoiding these. Explains 2 approaches to find products that are unsaturated in the market including how to spy on other stores that are winning. 3. Product Selection Criteria – Provides 4 criteria for product selection from other existing stores. 4. Uncovering Good Drop Shipping Stores (Hidden Gem Technique) - shows you how to find the lesser known stores. 5. Facebook Trending Search – method to find unsaturated and trending products by using a few key phrases on FB to uncover gems. 6. 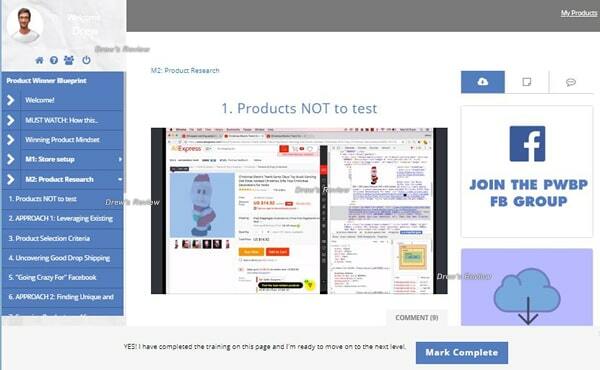 APPROACH 2: Finding Unique and Non-validated Products – using advanced techniques shows how to find products that other stores are testing. 7. Sourcing Products on Aliexpress – Shows how to source products directly from aliexpress using 2 chrome extension plugins. And how to find the best sellers. 8. New Research Method – new method he is using to finding unique and unknown Shopify drop shipping stores by using Google. There are 4 videos in this section covering everything from Ad Account backup creation (explains the importance of this and why you should) to creating additional accouts. Other videos include great information explaining how pixels work and how they should be installed. He has an intro to custom conversion events, how to supercharge your pixel, sharing your pixel and audiences. Tristan admits this is a complicated section but he delivers a good explanation - and you can watch it as many times as you like! Currently there are 11 videos in this section and is the largest module as it probably should be. Videos include topics on "targeting myths", understanding Facebook Audiences, PPE Testing Setup, Interest Stacking & Flexing, Winning Video ad creatives, writing ad copy and more. A smaller section for Facebook but focuses on retargeting. Discusses the different types of retargeting methods. An advanced section with 3 very intensive videos. This will take some time to ingest but if you're not aware re-targeting is an essential part of your drop shipping business. It helps on many levels including increasing brand recognition. More Facebook training! 7 Videos found in this section and includes everything from the "dangers of scaling" to USA/International scaling, Duplicating ads and PPE to WC & vice versa transitioning. Obviously this section would be used very carefully only after you start seeing sales. Tristan covers scaling very well and prepares you to avoid any mistakes. 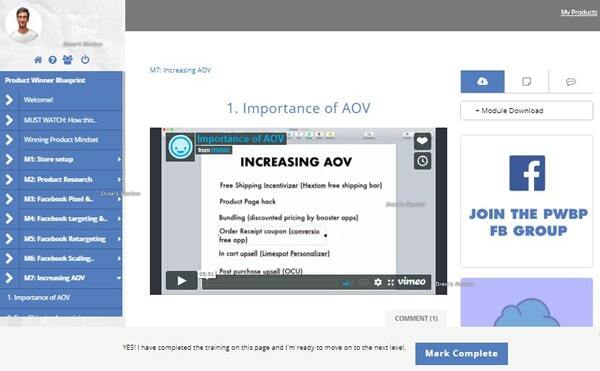 Tristan covers how to optimize your AOV (Average Order Value) and tells you how you can squeeze the highest AOV from your customers. 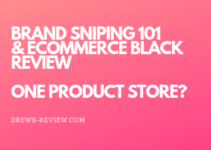 Videos covered include free shipping incentivizers, product page hacks, bundling, order confirmation cross sell, one-click upsells and more. 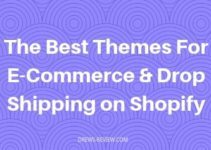 It's important to note that a lot of these features do come with some premium themes such as ecom Turbo, so if you have this theme this section is still important to understand but you'll have a solution in place already. This module is about automating drop shipping processes. You won't really need this section until you're ready to get help with your business. Everything from hiring VA's, including how and where to find them is included. He provides a template that you can use to hire VA's from Upwork which is real handy. There are 5 videos in this section and it's also a recent addition to the course. He explains the differences between email marketing with a niche compared to a general store. He explains exactly how to set up your emails - including product launches, promotion offers. when to send, etc. He also tells you how you can get higher open rates. Also shows you settings on "Wheelio" and gives you a real example. Another video shows you how to set up automatic campaigns in Recart. Lastly a video shows you how to set up coupon confirmation emails from Wheelio. Tristan does a good job with the email marketing section. If you buy the course, don't omit this section. It doesn't matter if your store is new or not, do email! As mentioned before, this is only available to those that purchased this bump before checkout. Here's a screenshot of what you'll get. Tristan's students have been asking him if running Google ads in replace of, in tandem with Facebook ads is worth it or not. His answer is yes. In this course you have access to a webinar replay on setting up Google Ads. He also has paid training and you can check out his Google Ads Ecom Academy Course here. My review on this course will be available soon as I bought both his courses in the bundle - it's cheaper that way. With your membership you also do get access to the Facebook mastermind group. As with any good course, I feel this is essential but please don't take advice from anyone other than Tristan. Use this group for inspiration and asking questions. Follow the training to a T.
Tristan offers a 7 day money back guarantee. While most others offer 30 days, I think 7 days is enough. You probably won't be able to go through the whole course in 7 days unless you bingewatch, but it's possible. You'll need to take a lot of notes because the course does have some pretty intense modules. This course surprised me with the content. It was quite different from a lot of other ecom courses out there. The content stays true to the title of the course - where focus is finding winning products, converting and scaling. I really do like his methods and will start applying these myself to my own stores. Tristan told me himself that the course is constantly being updated to keep up with Facebook changes which gives you a great advantage - another plus. I will tell you that if you`re a noob to ecom / drop shipping, you won't have a lot of hand holding here on how to set up your store. Tristan doesn't waste time showing you how to this - the assumption is that you have basic knowledge of this already. You can find this info online for free anyway. So you can see, this course is geared to those that already have a store (or those that are go-getters and can learn quick) and need help with finding that one (or many) products that will blow up and start making some serious money. If you ask me, I do believe Product Winner Blueprint is worth what he's asking and do recommend it. Tristan’s course gets a pass from me. It’s excellent for those with an existing store that are strugging to find that winning product. Newbies may be overwhelmed.